Here we have a list of MEK suppporting traitos. BTW, why is it that "Honourable" appears before the names of some of the worst criminals in modern history? Just noting whose administrations they have served in should be proof of their, to put it politely, questionable reliability. Michael Ratner is President Emeritus of the Center for Constitutional Rights (CCR) in New York and Chair of the European Center for Constitutional and Human Rights in Berlin. He is currently a legal adviser to Wikileaks and Julian Assange. He and CCR brought the first case challenging the Guantanamo detentions and continue in their efforts to close Guantanamo. He taught at Yale Law School, and Columbia Law School, and was President of the National Lawyers Guild. His current books include “Hell No: Your Right to Dissent in the Twenty-First Century America,” and “ Who Killed Che? How the CIA Got Away With Murder.” NOTE: Mr. Ratner speaks on his own behalf and not for any organization with which he is affiliated. Welcome to The Real News Network, and welcome to this week’s edition of The Ratner Report with Michael Ratner. Michael is president emeritus at the Center for Constitutional Rights in New York. He’s chair of the European Center for Constitutional and Human Rights in Berlin. He’s also a board member of The Real News Network. Thanks for joining us again, Michael. Paul, it’s always good to be with The Real News. So what do you got this week? This week I’ve just been outraged by a couple of things, mostly around the impunity of our own government, of the United States government, for clear crimes that its officials, former officials have committed, as well as some corporate crime. And the big two cases that came down ~ or, really, the two situations that came down were first with the MEK, which is a former Iranian group living in Iraq that had been listed on a U.S. terrorist list. That means that you couldn’t support that group in any way in the United States. They’ve listed the MEK as a terrorist group. It had been involved in the Iranian Revolution, had a falling out with Khomeini’s people, eventually fled to Iraq, became close to Saddam Hussein. But it’s not really the nature of the group I want to talk about; it’s the nature of what happened. It’s listed on a U.S. terrorist list. What that means is you can’t give any aid to that group, you can’t take anything from that group, you can’t cooperate with that group. You can’t even teach it the principles of the Geneva Convention, which is a case we lost on in the United States Supreme Court Humanitarian Law Project. So you’re completely prohibited from having any transactions with that group, because it’s considered a terrorist group. So what happens over the last couple of years: a number of former officials from the United States took money ~ they claim they didn’t know it was directly from the group, etc. ~ but through essentially what I think were fronts for the MEK. And they took a lot of money. Former governor Ed Rendell of Pennsylvania took somewhere between $150,000 and $160,000; the former head of the FBI, freeh, took money; former heads of the CIA took money; all to do public speaking in which they talked about how MEK should not be listed as a terrorist group. But the point is they took the money at a time when it was listed as a terrorist group, which is a serious felony in the United States. And so then what happens? 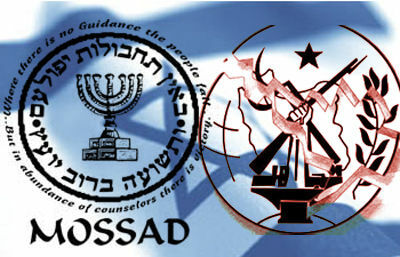 There’s an investigation, supposedly, of their taking money from this terrorist group. But in fact, of course, what are they going to do? Prosecute a bunch of CIA former heads? Prosecute the former head of the FBI? Prosecute a former governor? And Mayor Giuliani and others. Right. It’s just a long list. So what do they do last week? 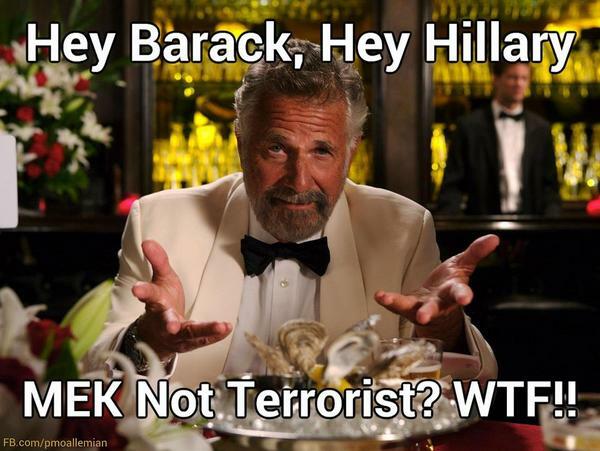 They denied ~ Hillary Clinton, the State Department, says, well, we’re going to de-list ~ take it off the terrorist list and no longer treat the MEK as a terrorist organization. 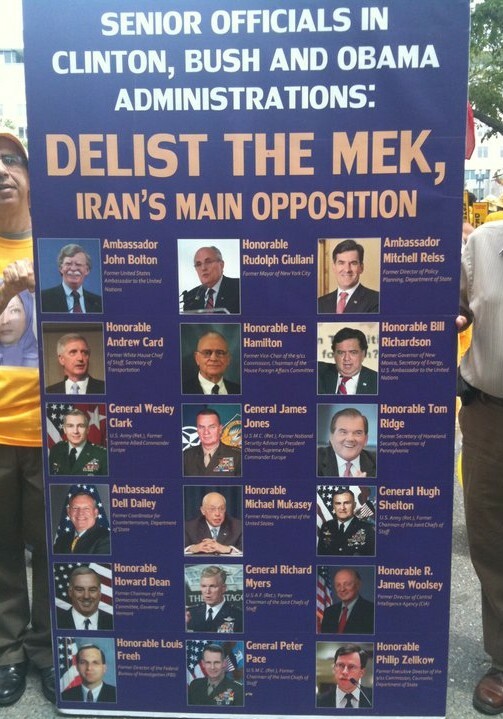 Now, there may be a lot of complicated political reasons why they did that, having to do with both the politics in Iraq, their own politics about Iran, etc., but in any case, this group of people who all took money ~ which I believe came indirectly through the MEK ~ were lobbying to take it off the terrorist list. And what did they do? They’re not going to prosecute any of these people who took money indirectly or directly, however it came, from the MEK. And what’s outrageous about that is that they took this money at a time it was a terrorist group listing. Whenever we think of that listing, it was illegal at the time that money was taken—you couldn’t take it from the MEK. And what you have to contrast is what happens with clients of my own or others who had any communication, anything with groups that the U.S. doesn’t like that are on the terrorist list. Yeah. I mean, some of the people that get charged do charitable contributions to charities that have some kind of connection to Hamas or Hezbollah, and that’s enough to get you convicted. That’s one of the best examples, Paul. The Holy Land Foundation, they were the biggest Muslim charity in the United States. They gave money to a number of groups in Gaza and other places that the UN gave money to and you couldn’t even argue were necessarily connected with Hamas. They tried Holy Land Foundation. And, of course, the heads of the Holy Land Foundation are now serving decades ~ decades in prison. The foundation has been wiped out. There’s a case ~ Hamas on the terrorist list, supposedly indirect contributions to Hamas for humanitarian aid, let’s say ~ this is blankets and hospitals and things like that ~ and yet these people go to jail. Yet when our own former officials close to the Bush administration, close to the Democrats, close to the Republicans do the same thing with a terrorist organization that now the U.S. has a use for, those people are given, basically, complete impunity and the organization is taken off the terrorist list. Has the Justice Department given any explanation for why these cases aren’t being pursued? I mean, we know the politics of why they’re not, but there needs to be some official reason here. So far there isn’t. I mean, they might still be technically under investigation, but they’re not going to go anywhere. I mean, the argument’ll probably be that, well, we don’t think there’s enough evidence that people knew that the money came from the MEK or whatever else, or now that it’s off the terrorist list we don’t feel that there’s much purpose served by a prosecution. But that’s just wrong. I mean, that’s just completely wrong. I mean, but that may be their explanation. But it does highlight that what officials in the United States do, or former officials do, is essentially given impunity. And, of course, we’ve talked about it before. That’s been the case with regard to the torture program that was carried on under the Bush administration. The Obama administration has given them, you know, a complete case ~ complete impunity. And the second ~. Yeah, I was going to ask: what do you make of this decision of the Supreme Court? Well, it’s a decision in a manner of speaking. The second big case that comes up is this question of warrantless wiretapping, warrantless electronic surveillance. And that’s going after American citizens’ communications, whether it’s by phone or email or Twittering or whatever else that are not public, you know, direct Tweets or email messages, going after them without a court-ordered warrant that’s required under our constitution. And I got to give you a minute of history on that. After 9/11 the president, on his own, secretly decided that he was going to authorize the warrantless wiretapping of American citizens by the National Security Agency, the NSA. But, of course, without the cooperation of [incompr.] communications companies, AT&T and others, they can’t do that. So, secretly, unbeknown to the courts, unbeknown to anyone, they went to these telecommunications companies and said to them, we want you to warrantlessly wiretap various people, organizations, etc. They put these machines on ~ and we actually have evidence about that ~ a machine on, you know, the back end of one of their big servers that would just look at all this email. It got discovered. It got exposed. James Risen of The New York Times exposed it. And it was a completely massively illegal program. In fact, former vice president Gore said that Bush ought to be impeached for this program. So then what happens? Then what hapens: Congress gets in the act, and they decide two things. First of all ~ first of all Congress decides they’re going to allow this wiretapping to go on, and basically legalize it in a piece of legislation. And in addition to legalizing it, they’re going to say that those corporations, those communications corporations, Verizon and the like, that went along with it, we’re going to give them retroactive immunity from lawsuits that could be brought by people who were wiretapped. And there are millions, maybe billions of dollars’ worth of lawsuits. So that legislation comes up. It comes up when Obama, our now current president, was a senator. When he was senator, he says, well, I’m going to veto that—I’m not going to veto; I’m going to vote against that immunity for the telecoms. In other words, I’m not going to say that the telecoms are immune, but I’m going to agree that they can be sued and let the courts decide. Of course, what then happens: Obama gets nominated to be president of the United States, Senate vote comes up when he’s still senator, he changes his mind, if you want to call it that, or he makes what I can say a political vote because he wants to be seen as strong on national security, etc., and he votes along with the majority of the Senate to give impunity or immunity to the telecoms. And that’s the statute. Then what happens? Then the Electronic Frontier Foundation, the ACLU sue these telecoms, and they sue on the grounds that that law is unconstitutional. How can you give retroactive immunity for something that these people knew was illegal when they did it, and now you’re saying as a legislative matter, you know, that’s the end of it? Isn’t this a court question of whether they should have immunity or not? And, of course, here’s what happens. They go to the court, they go to the district court, the lowest court. They go to the middle court, court of appeals. The court held that there is immunity for those telecoms, that the statute is upheld. And then this last week they go to the Supreme Court, and the Supreme Court says, we’re not going to review the case; we’re going to agree with the lower court that the telecoms, Verizon and the like, are immune from lawsuits for what was clearly an illegal set of wiretapping. So there you have it. You can’t sue the telecoms. You already have a situation you can’t sue the government, although there’s some litigation still going on on that. So you have immunity for both the government officials, as well as the telecoms, who were engaged in a massive violation of the law, warrantless wiretapping. So we have the MEK on one hand and the U.S. officials, former officials who took money from the MEK, at least indirectly, if not directly, and then you have the telecoms as well being given immunity. So you have ~. Now, where are we at on that question of warrantless wiretapping? We’re not in good shape, Paul. We basically have a statute that allows the president, sometimes through this secret court, sometimes on their own, to engage in warrantless wiretapping of American citizens. It was, of course, always allowed for people overseas who are not citizens, and that’s a given that that’s what they do. You lose that. But right now I would say that, you know, our communications in the United States are completely unprotected by what should have been our constitution. Thanks for having me again, Paul.